Joe Worrall didn’t have the best of games for Rangers against Celtic on Sunday and incurred a lot of criticism from supporters on social media. Rangers suffered a 2-1 defeat in the Old Firm Derby and fell 13 points behind Celtic in the Scottish Premiership. Celtic took the lead in the 27th minute through Odsonne Edouard, but Worrall was slaughter by fans for the part he played in conceding the goal. The 22-year-old hasn’t been a bad signing for Rangers but making a costly mistake in the Old Firm Derby isn’t something that gets forgotten about quickly. Worrall gets beat far too easy for the goal.ive never understood why he's an under 21 international. Worrall is not good enough. Teams are a lot closer than you think. Nothing is a certainty. Not excuses. Brown's actions after the game have no relation to the individual mistakes our players made. Worrall, Tav & Morelos made huge errors and that's what lost us the game. Brown's actions afterwards – needless. Joe worrall is having a mare ???????? Worrall & Candeias having horrors, then gifted them a goal. Alfredo taking the bait and getting sent off. Heard this story far too many times this season. 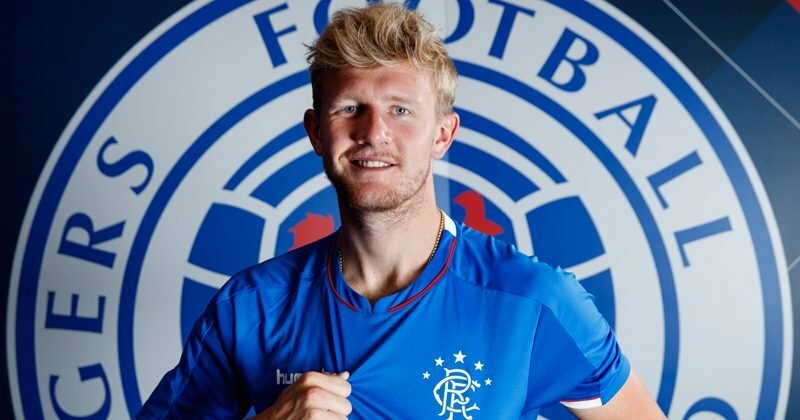 Since joining on loan from Nottingham Forest in late-August last year, Worrall has made 30 appearances in all competitions for the Gers, scoring one goal. He’s helped Rangers achieve the second-best defensive record (24) in the Premiership and the second-least amount of defeats (5). Worrall has had stiff competition at centre-back from Gareth McAuley, Nikola Katic and Connor Goldson, and competition at left-back from Borna Barisic and Andy Halliday. The defender is due to return to Forest this summer, but he’s admitted being open to a permanent move to Rangers.